The most important thing to remember about your garbage disposal is that it isn’t a garbage can. 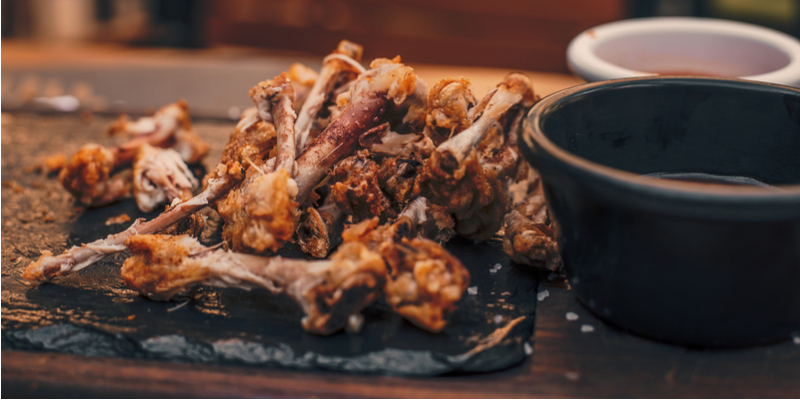 While your disposal is incredibly useful for disposing of food waste, it can’t dispose of everything. No matter how effective or powerful your garbage disposal, there are certain things you should never throw into it. The items on this list will all have a few things in common. One of the biggest: most of them tend to get sticky when they’re wet. When you drop coffee grounds down your disposal, they’ll clump together–just like they do when you pour water on them. When coffee grounds clump together, they stick to each other and everything around them… including your disposal. Coffee grounds tend to stick to disposal blades, the sides of pipes, and everywhere else. If you drop them into your drain they’ll make a big, gross clog in no time. The more coffee grounds you pour in your disposal, the worse the clog will get. Throw out your coffee grounds in a garbage can; never a drain or disposal! Pasta expands when it gets wet. Anything that expands when it gets wet shouldn’t go down your garbage disposal. When pasta expands in your disposal, it may become too unwieldy for your disposal blades to process properly. Instead of grinding the pasta up into tiny chunks, the blades will get stuck in it. Meanwhile, the pasta won’t make it through the disposal and into the drain. Not only will pasta impede your disposal blades, it’ll also create a clog. Don’t risk it; throw your pasta remains out instead. Yes, your garbage disposal contains blades. No, it doesn’t contain blades powerful enough to break up animal bones. Throw bones away if you don’t want them to chip, crack, or completely break the blades in your disposal. What do ground nuts turn into? Peanut butter! What is peanut butter’s defining characteristic? Stickiness! A disposal lined with peanut butter will be nearly impossible to completely clean. The butter will stick to the sides, causing nasty clogs or even attracting pests. Repeat after us: garbage disposals aren’t garbage cans. The biggest cause of garbage disposal clogs reported by our technicians? People putting paper towels, bags, peels, and other trash in their garbage disposal. That garbage will not pass through the disposal and it will create a clog. Throw it out, don’t flush it down. Any sort of fibrous vegetable. 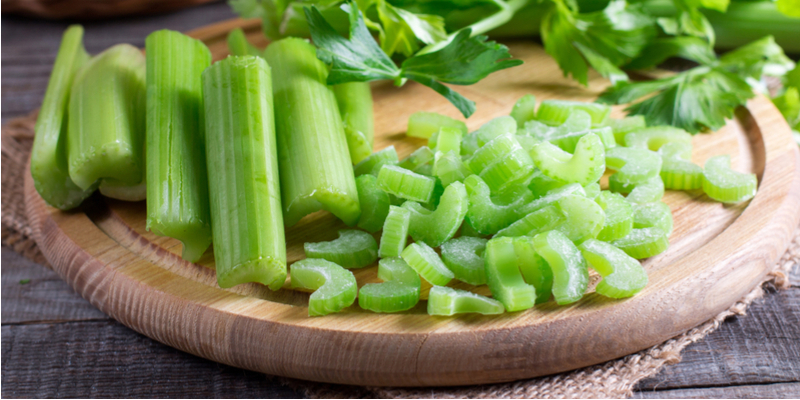 Fibrous vegetables like celery and rhubarb tend to break down into long, stringy pieces. Those long, stringy pieces tend to tangle themselves up in your disposal blades when you try to run it. Dealing with that tangle isn’t worth the time you’ll save dropping vegetables down the disposal. Throw out fibrous vegetable remains instead. Just like with bones, the blades of your garbage disposal just aren’t strong enough to break up a fruit pit. 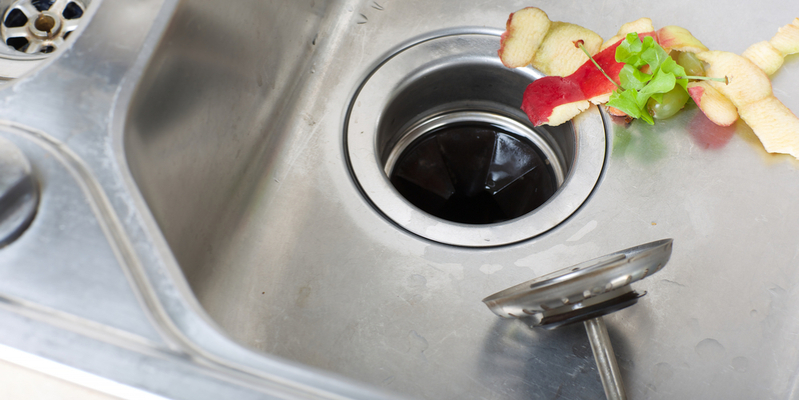 Throw fruit pits into the garbage or compost so they don’t hurt your disposal or clog up your drains. We know how tempting it can be to dump drain cleaners into your disposal when you’re having a clog problem. It can even feel like the obvious solution; that’s what those products are for, after all. Unfortunately, however, chemical drain cleanings almost always cause more problems than they solve. Drain cleaning chemicals can’t tell the difference between a clog and your pipes. The more you use them, the more they’ll eat away at your pipes. Use them enough and they’ll wear away your pipes until they leak or burst. We recommend against using conventional drain cleanings, no matter how bad the clog. There’s always a better solution. Specifically, you shouldn’t drain latex or oil paints. Latex and oil paints aren’t easily washed away by water. Instead, they sit in your pipes, cure, harden, and become damaging. If you’re cleaning brushes or rollers, do it outside or in an appropriate container. 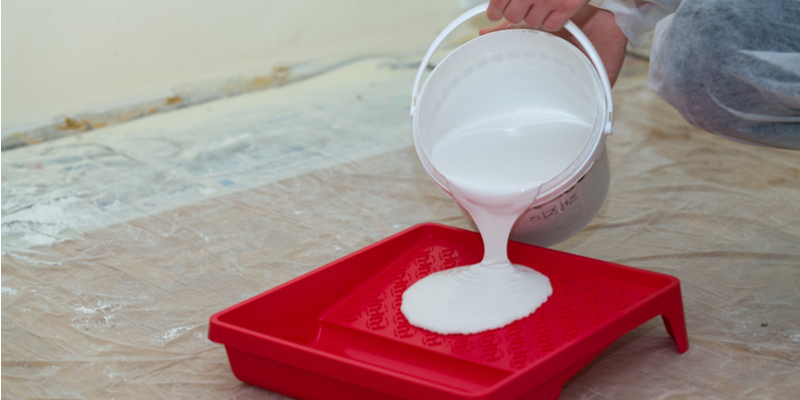 Dilute any paint with water until it’s nearly clear before you pour it down a safe drain. So: what CAN you put down your disposal? Non-toxic liquids, dish soap, ice cubes, leftovers, and the small waste that comes off dining plates is all safe. Most fruit and vegetable scraps (aside from the ones we listed as no-nos) are just fine, too. Don’t get us wrong, a garbage disposal is still an invaluable tool–but it’s just that: a tool. And just like any tool, it’ll break if you use it the wrong way. Have more questions about what you can and cannot drop down your garbage disposal? Need some help repairing or replacing your damaged disposal? Whatever you need, Mike Diamond can be there to help in a flash. We’ll make sure your disposal is working good and smelling good, too.